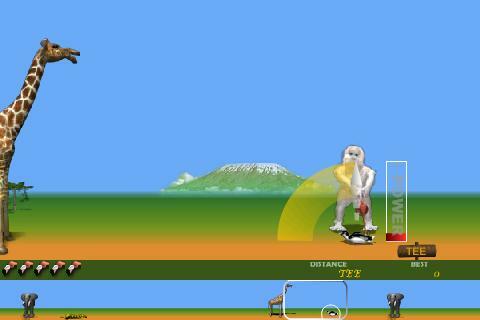 Penguin Golf Game has been released for Android. 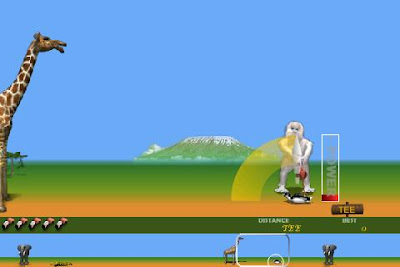 You can enjoy Snow Man's new adventure in Africa and help it set a new highscore only by playing this incredibly funny game. Snow Man is now practicing his long shots with Pingu-the penguin in Africa. With flamingos, snakes and elephants for company the game proves to be even more exciting. Throw Pingu towards the left as far as possible. In Africa, the Snow Man employs the powers of a flamingo-fashioned golf-club to drive the penguins. A nice variation on the popular Snow Man sports game, this one involves some challenge and skill. Your aim is to get Pingu past all the giraffes, elephants and snakes to make the greatest distance. Control the game by touching your screen. First click defines angle and second click defines power of your swing. Download the game for FREE from market.